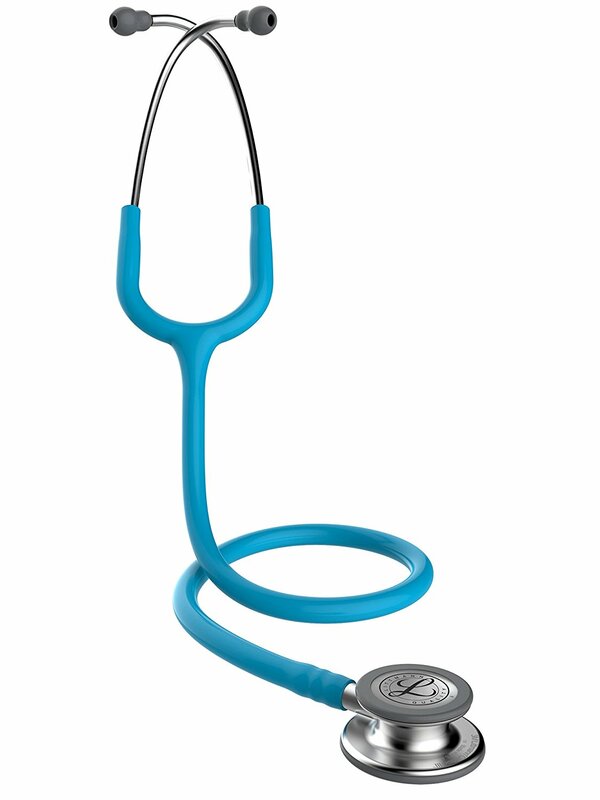 The 3M Littmann Classic III Stethoscope offers high acoustic sensitivity for exceptional performance when doing general physical assessment. It features dual tunable diaphragms and an updated design that is easier to clean and maintain. The 3M Littmann Classic III Stethoscope is the latest version of the stethoscope that helps millions of medical professionals achieve their best. The Classic III stethoscope offers high acoustic sensitivity for exceptional performance, plus a versatile two-sided chestpiece with tunable diaphragms. The Classic III stethoscope is used by students and medical professionals alike to identify, listen to, and study heart, lung, and other body sounds for physical assessment, patient monitoring, and diagnosis and instructions. • High acoustic sensitivity for performing general physical assessments. • Tunable diaphragms on both the adult and pediatric sides of the chestpiece. • New single-piece diaphragm that’s easy to attach and easy to clean because the surface is smooth without crevices. • Pediatric side of the chestpiece converts to a traditional open bell by replacing the single-piece diaphragm with a non-chill rim. • Next-generation tubing with improved resistance to skin oils and alcohol for longer tubing life. Less likely to pick up stains. • No natural rubber latex or phthalate plasticizers are used in the tubing or any other component-to help protect human health and the environment. • Available in multiple tubing colors and chestpiece finishes. Plus, every Classic III stethoscope comes with a five-year warranty.